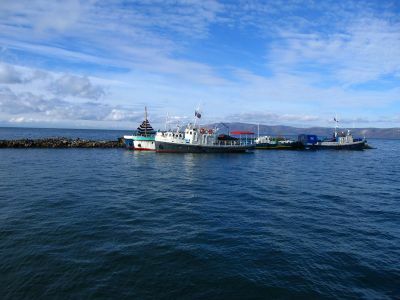 fishing boats docked just off shore in lake baikal, in listvyanka, russia. 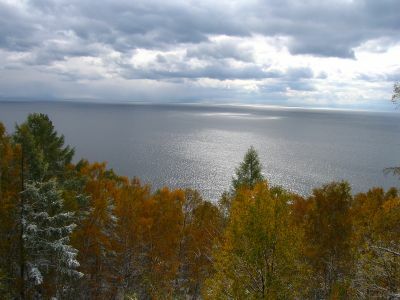 even bigger than all 5 great lakes of the u.s. combined, lake baikal is the largest freshwater lake in the world, situated deep in the heart of siberia. 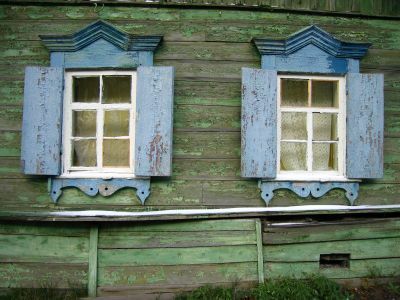 the wooden houses that nestle in the valleys of listvyanka are often accented with brilliantly colored shutters. 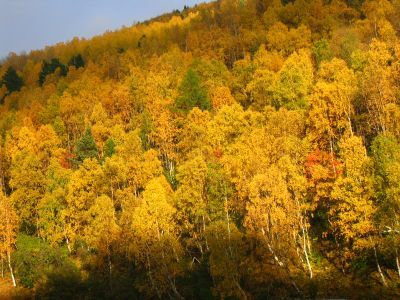 winter and autumn co-exist in this part of the world; these trees were covered in snow one day, then covered only in color the next. 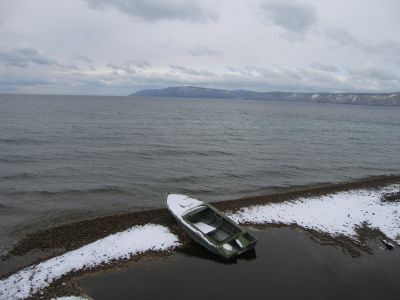 a cold day for a boat ride so the captain is keeping her ashore. 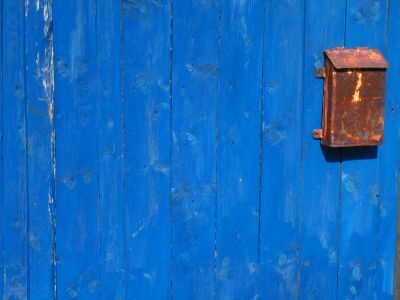 if the house doesn't have shutters they paint the fence in some outstanding color. 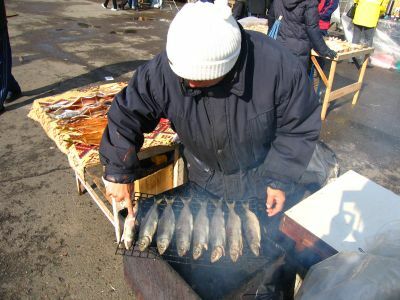 down at the lakefront, women stand in front of their makeshift barbecues selling smoked fish fresh from the lake. the fish is called omul. $1 for a small one, $1.66 for a large - they hand it to you wrapped in paper and you eat it right from the bone after peeling off the skin. damn, damn good. the lake even looks nice when the sun is behind the clouds. colorful shutters on a colorful house. 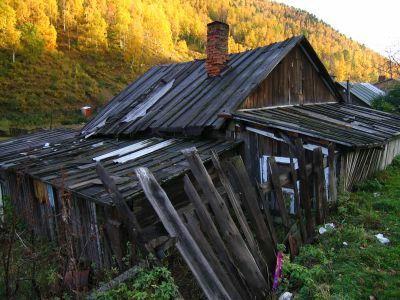 whenever my family would visit vermont we'd point out battered, broken old shacks and say "that's your house." 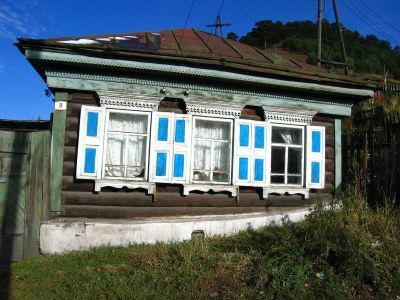 i don't know why we did so but i still feel that way when i see dilapidated, wooden houses. so sharon, susan, nancy, debra, dave, and mark: here's your house.